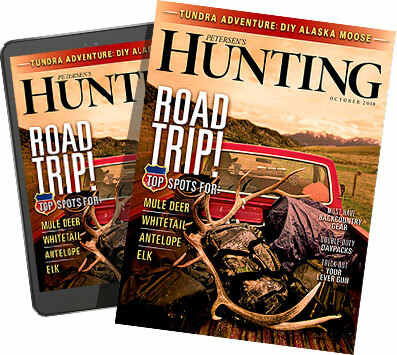 The easy route for any hunting magazine is to simply tell a traditional "hunting" story. A traditional story could be about anything...from a lucky hunter who drew a coveted, once-in-a-lifetime tag and shot his dream bull on the last minute of the last day to how to plant food plots to field tests about hot new hunting gear. A well-worn ditty most magazines love to trot out on a yearly basis is a variation of the ever-popular "Ten Tips For Bagging Your Buck Now!" New techniques for rut hunting are rare and probably stopped being original about the time John Wootters quit penning the "Buck Sense" column in this magazine. Like I said, that's the easy route. A much harder route is to break the mold and do something different. Something that makes a magazine stretch. In our case, "something different" was to develop an issue focused on hunters. We wanted to put a face to them, shed some light onto what makes them tick, and showcase their various backgrounds and vastly different lifestyles, returning to the one commonality that runs through them like a stream: hunting. Hunting is the one constant that binds together many of us from different walks of life. And it is a funny passion. I have shared camps with pilots and plumbers, business moguls and butchers, and everything in betweenâ€”from the guy who saved for a decade to enjoy the same camp with another who paid for it out of the petty cash fund. And what makes the dynamic interesting is everyone got along smashingly. Social status goes out the window when everyone is in camo. It was for these reasons we wanted to profile the hunter. We took this issue and gutted it of all its usual content with the goal of devoting it to celebrating hunters instead of the hunt. "Hunting is the one constant that binds together many of us from different walks of life. And it is a funny passion." We kicked it off with an interview with Kid Rock. It's an under-the-hood look at this American rocker, entertainer, and all-around badass, who also happens to have a passion for the outdoors and hunting deer, turkeys, and hogs. From there we followed NFL legend and two-time Super Bowl Champion Justin Tuck through his journey of becoming a bowhunter and accompanied him on his most recent hunting trip to New Zealand for a trophy red deer, tahr, and more. We then focused on outdoor businesses, such as the multigenerational Hornady and the successful startup KUIU. If you've ever thought you had a great idea for an outdoor product, these two stories spanning nearly seven decades will inspire you to quit dreaming and start doing. In the passion to profession category, I can't remember how many times I've heard from readers who would love to turn their passion into a career but have no idea where to begin. So in this issue we give you the blueprint to get a job in the outdoor industry. We didn't beat the usual drums of "become a writer, TV host, or cameraman" and leave it at that. While we did include some of those jobs, we took it much farther. This article is a much broader examination of the various opportunitiesâ€”profiling 17 dream jobs in the outdoor industry (and several to avoid if you actually like to hunt)â€”with an eye on how you could aspire to these careers. We looked at average salaries, the good and the bad aspects of the actual job, education and experience requirements, as well as the real reason everyone covets an industry job in the first place: the amount of time spent in the field doing what we love. We packed these pages with everything people oriented. We learned a lot and had fun along the way. We hope you find as much enjoyment in reading this issue as we did in producing it. For those who are not interested in the human side of our lifestyle, don't fret, fall is right around the corner and the latest "Ten Tips For Bagging Your Buck Now!" article will be coming soon.